Co-founded by Nancy Ponzi of Ponzi Vineyards in 1985, the International Pinot Noir Celebration now draws nearly 1000 people from all over the world to McMinnville, Oregon, for a weekend of wine tasting, education and dining from the bounty of the Northwest. Attendees include Pinot noir producers and devotees, journalists, Northwest chefs and food lovers. This year's IPNC did not disappoint! 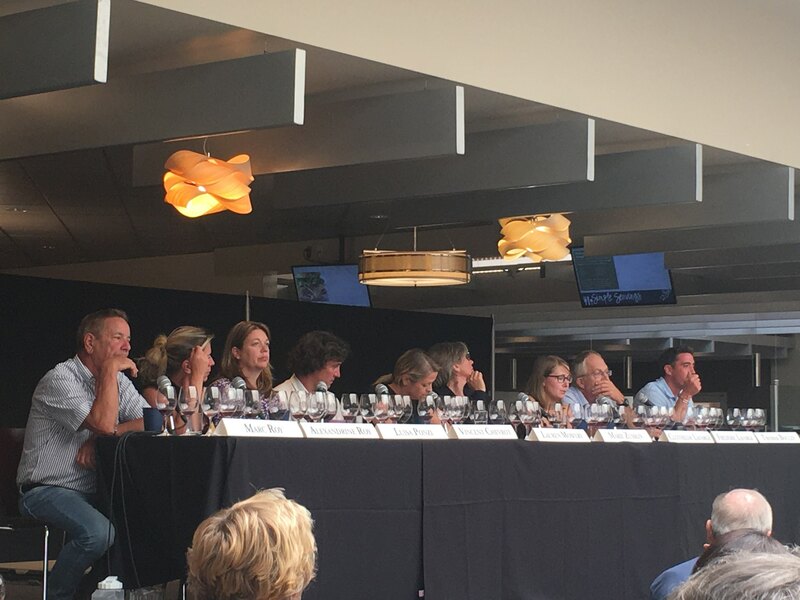 Once again, Ponzi Vineyards participated in seminars, sharing the expertise we've cultivated over nearly 50 years as one of Oregon's founding wineries. Our wines were shown at multiple pourings to demonstrate the high-quality the Willamette Valley consistently produces. Winemaker Luisa Ponzi presented alongside Burgundy's finest vintners. The event was such a success, and it was our great honor to participate. Until next year! Happy Earth Day! We are delighted that this annual event supporting environmental protection coincides with our announcement of bud break at Ponzi Vineyards. 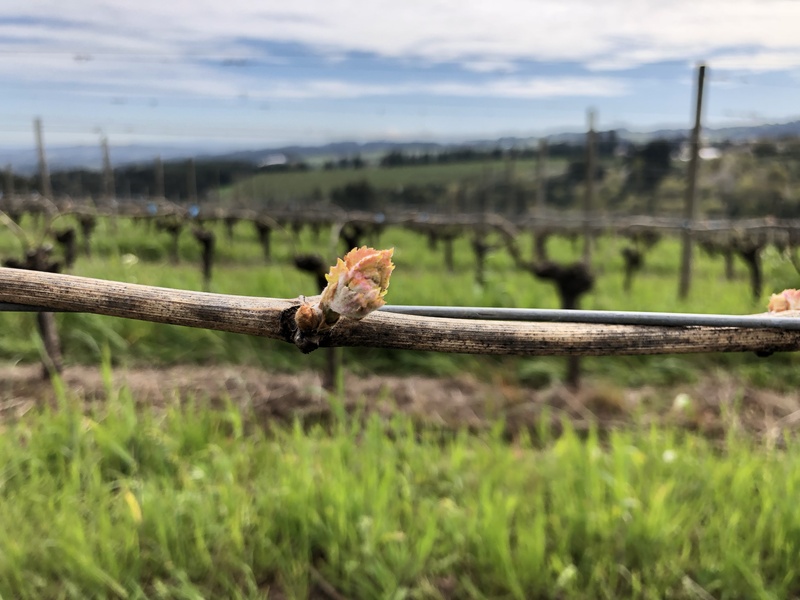 On April 20th, we had reports from our Vineyard Manager Miguel Ortiz of bud break of Chardonnay Clone 96 in the Avellana vineyard (pictured right). We also had bud break of Arneis in our Aurora vineyard (pictured above). 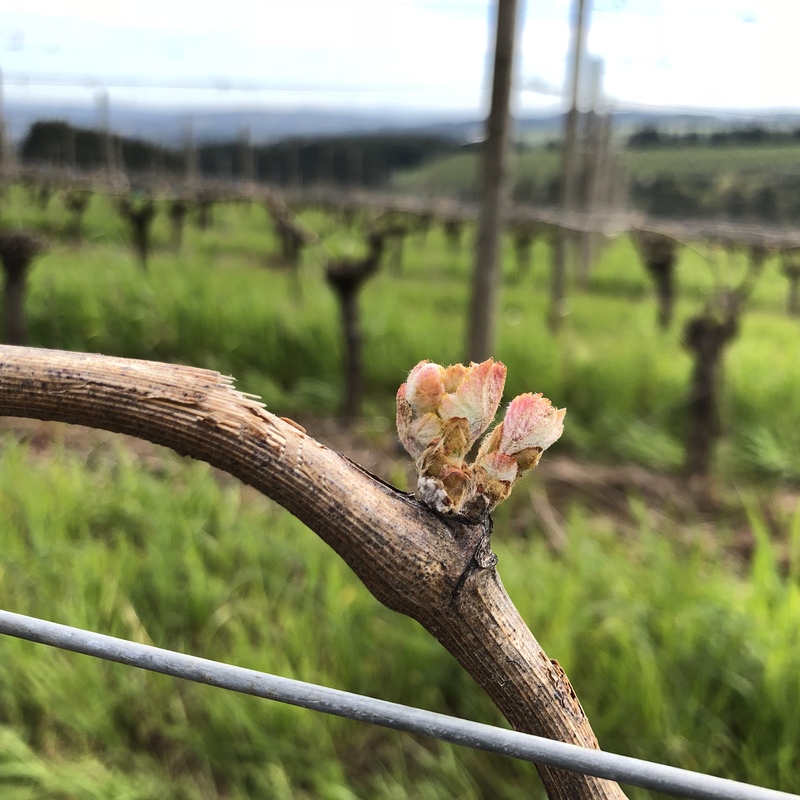 These sweet buds signal another year of life and growth for Ponzi Vineyards. 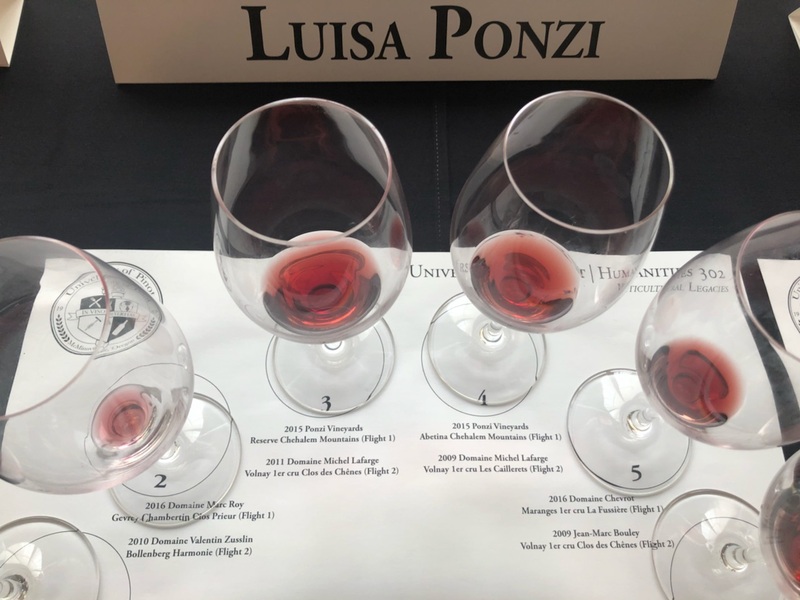 “When I come to work in the morning and see these little sweeties, I blow them a kiss and thank them for returning another year,” says Winery President and second-generation vintner Anna Maria Ponzi. Our Collina del Sogno property (where our winery, tasting room and Avellana vineyard are located) was one of the first Oregon facilities awarded the LIVE Winery Certification, meeting LIVE specifications for an eco-friendly building and sustainable winemaking practices. Our vineyards are certified Salmon-Safe certified. The winery maximizes the natural contours of the hilltop site on which it’s located for light, temperature control, gravity-flow processing, water retention and recycling. These environmentally friendly practices help ensure we have bud break next year, and every year after that. For a detailed list of our sustainable practices, click here. The arrival of the buds means it’s time for the vineyard crew to begin the meticulous process of shoot thinning. Shoot thinning is the first step to balancing yield. The canes--previously pruned and tied--must now be carefully examined and every bud counted. The crew will pluck off the new buds, leaving just five per cane. With two canes per plant, each will have ten buds. These buds will grow into shoots that develop two or three clusters each. When these clusters form, the crew will again work through the vineyard, thinning down to one cluster per shoot, for a total of ten clusters per plant. The thinning process ensures that every plant focuses on developing ten amazing clusters, rather than trying to grow twenty or thirty clusters of lesser quality. The plant’s resources are not spread thin, and the resulting crop is one of quality, not quantity. This is thoughtful work and the crew moves slowly, counting and carefully choosing which buds to keep and which to remove. Every single vine is touched by human hands, a reminder of our direct connection to the earth. If we are gentle and thoughtful, it will continue to sustain us. In between each row is a riot of growth: blades of grass, pops of purple flowers, yellow flowers. With the buds on the grapevines, these wildflower-looking plants also burst into life. This is our cover crop, also sometimes called “green manure”. 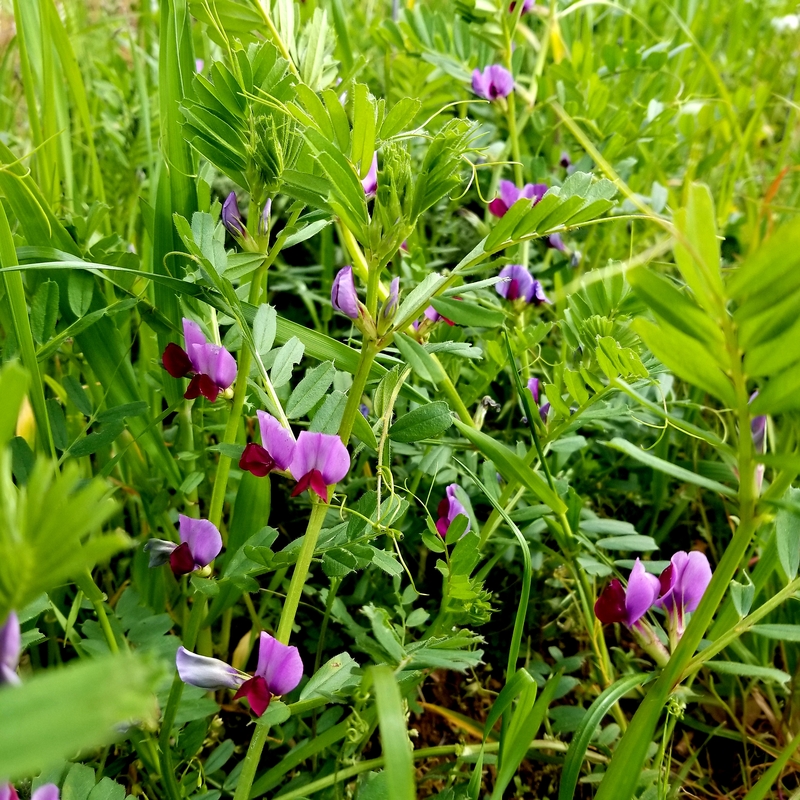 Among them are legumes--sweetpea, fava beans, vetch--as well as grasses, red clover and mustard. Once they fully bloom, they will be tilled into the soil, providing the grapevines with a rich source of nitrogen. 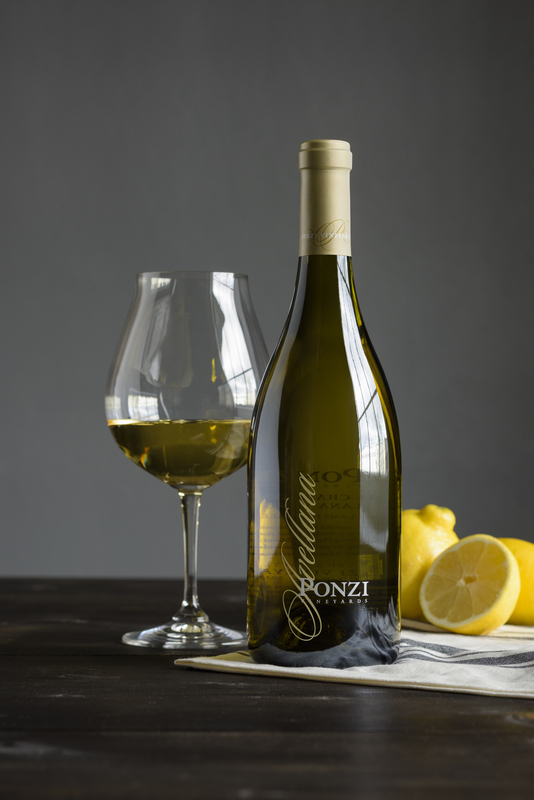 A natural fertilizer, it’s right in line with the Ponzi Vineyard’s commitment to sustainability and gentle stewardship of the land. And they’re really pretty, too. We hope you will celebrate this Earth Day and bud break at Ponzi Vineyards with us. Have a glass of LIVE-certified, Salmon-Safe, gravity-flow wine and give thanks and respect to this beautiful world we inhabit. Cheers!